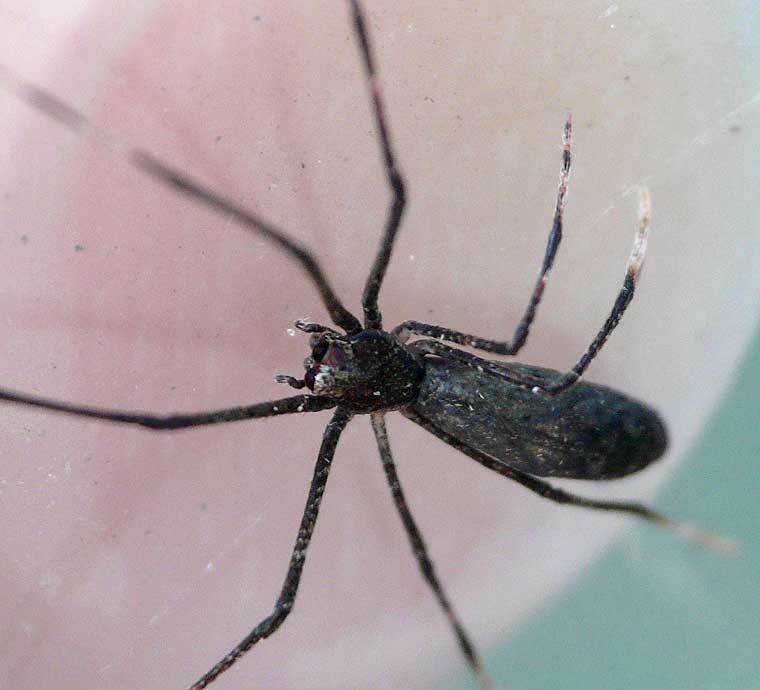 Deinopids are stick-like elongate spiders that build webs they suspend between the front legs. When prey approaches, the spider will stretch the net to two or three times its relaxed size and propel itself onto the prey, entangling it in the web. Because of this, they are called net-casting spiders. This dark Deinopid was about 8mm body length with white tips to all the legs (the whole of the tarsus). Perhaps a juvenile D. subrufa.